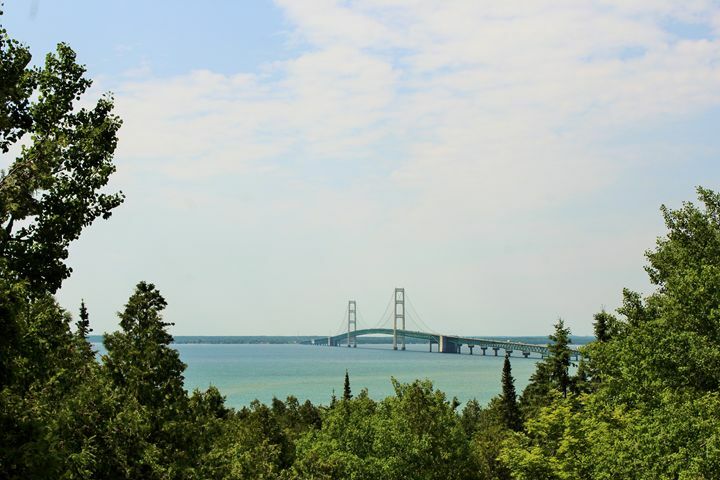 This photo is of the Mackinac Bridge, which connects Michigan's upper and lower peninsulas. This was taken from Straits State Park. The bridge is framed by trees.